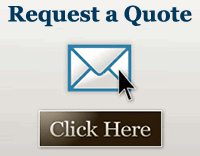 Century Ready Mix is a locally owned and operated company. 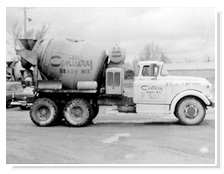 We have been supplying concrete in Louisiana and Southern Arkansas since 1945. Today, after sixty-six years of business the company has grown into one of the largest concrete and aggregate suppliers in the area. Century provides ready mix concrete, gravel, sand, crushed stone, crushed concrete and other related building products.We have fixed plant facilities in Monroe, West Monroe, Bastrop, Delhi, Farmerville, Ruston, Columbia, LA and Crossett, AR. Century Ready Mix can install, operate, maintain, and then dismantle �near-site� concrete production facilities that have been specifically designed to meet project production and specification requirements. Aggregate Production facilities are located in West Monroe, Louisiana. 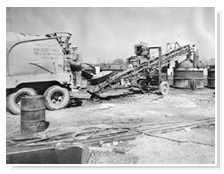 These facilities mine, wash, and grade sand and gravel for concrete production. From the beginning this company has been based on principles of fairness, honesty and integrity. Our reputation and success is centered on our people and our ability to supply a high quality product at a competitive price. Our commitment is to continue this policy in the twenty-first century. Century Ready Mix truly appreciates your business and looks forward to the opportunity to work with you on all your construction projects. Copyright © 2019 Century Ready Mix. All Rights Reserved.